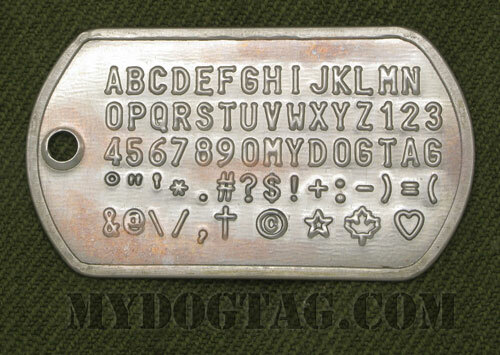 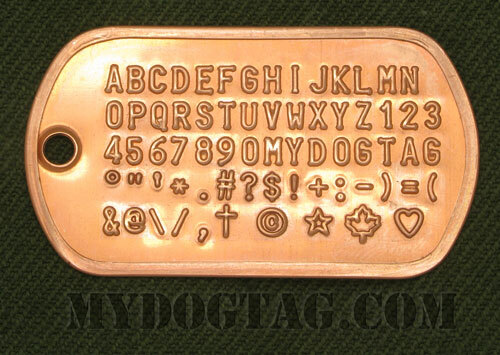 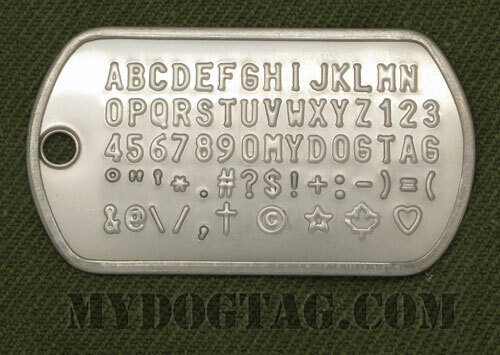 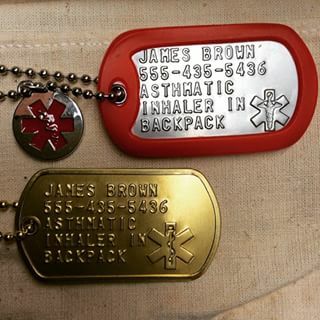 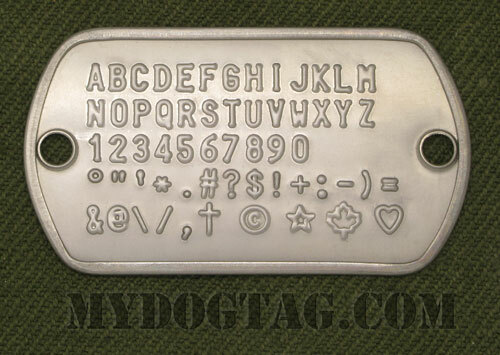 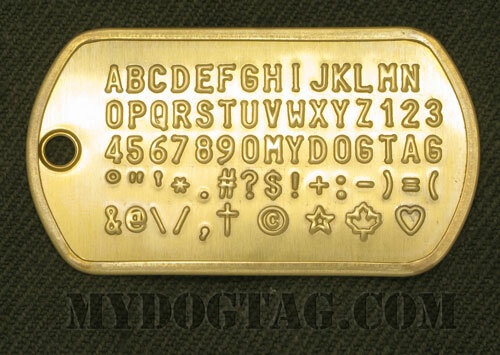 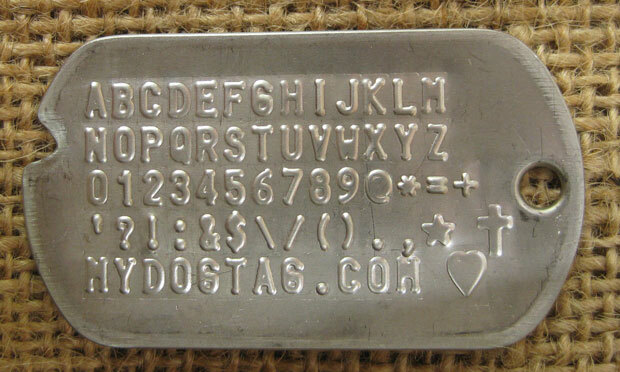 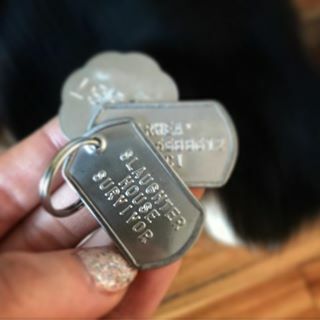 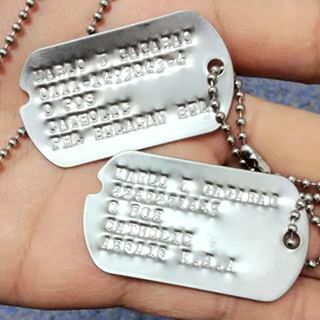 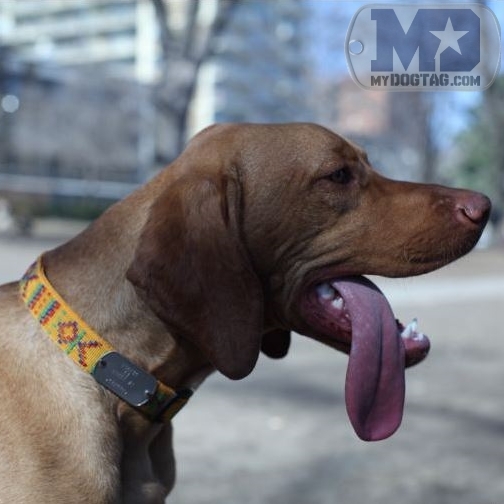 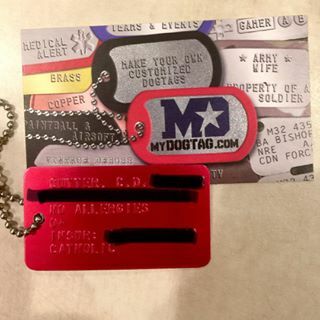 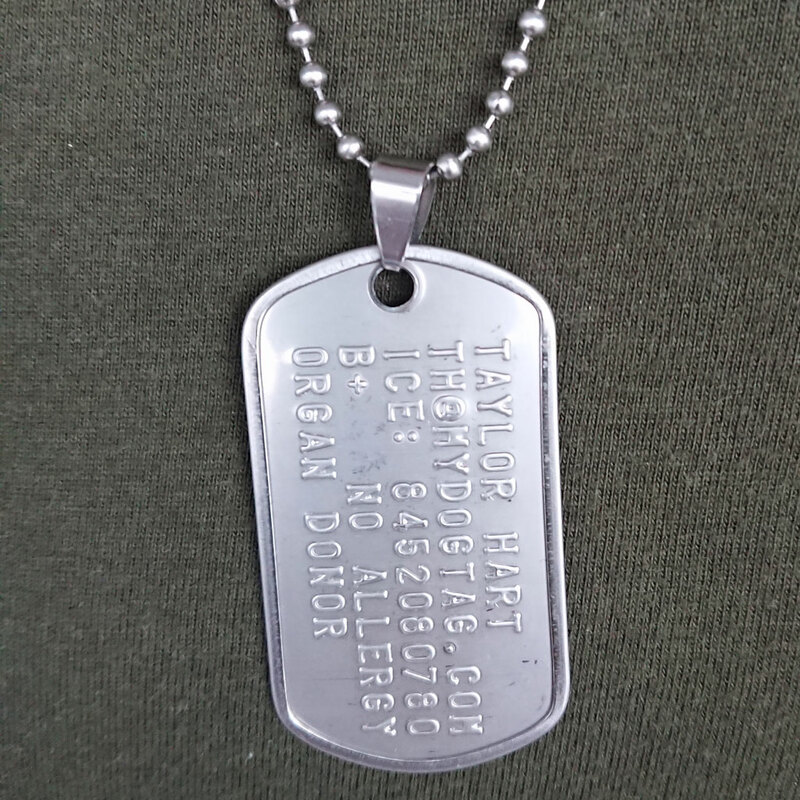 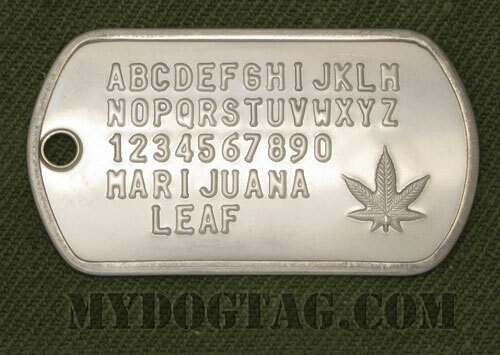 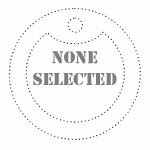 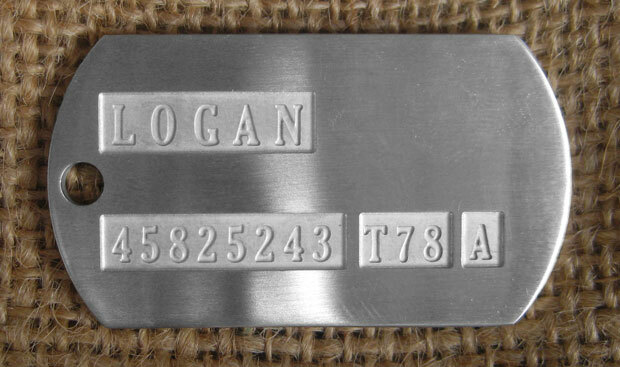 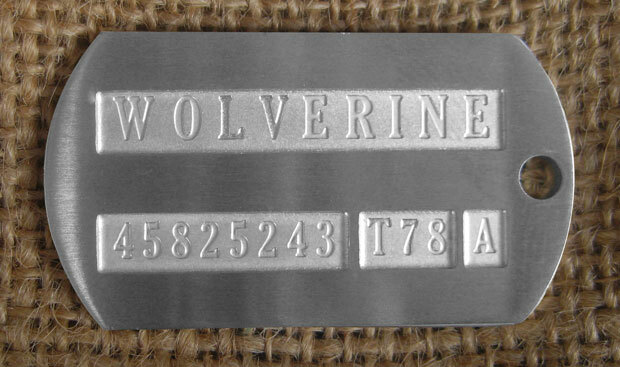 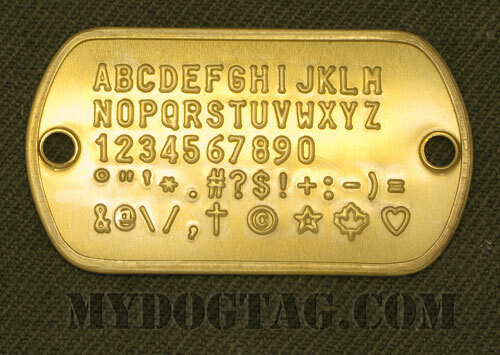 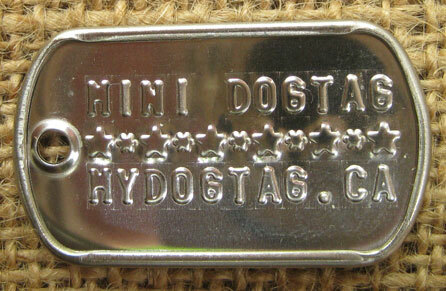 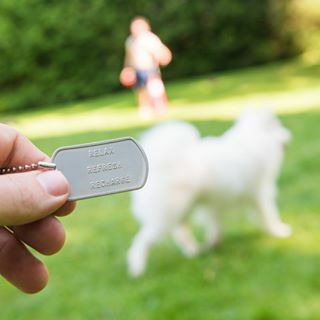 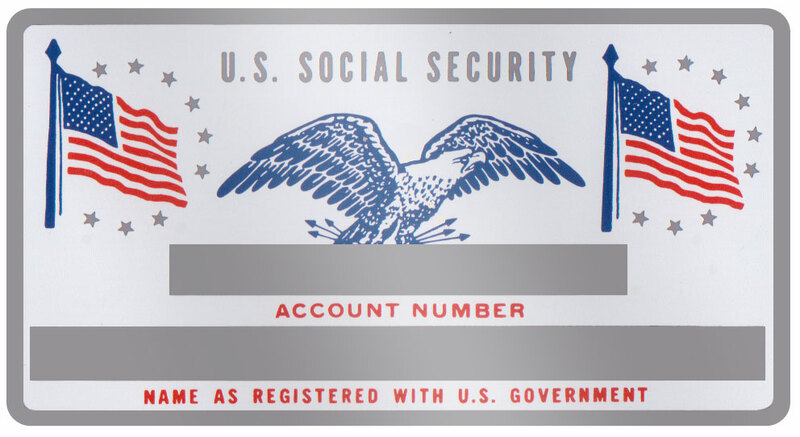 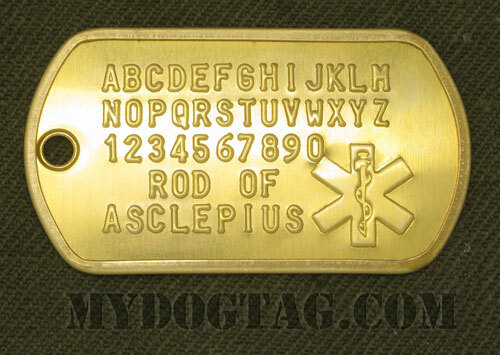 British Military Dog Tags Generator: Personalized Identity Disc ID Dog Tag for people. 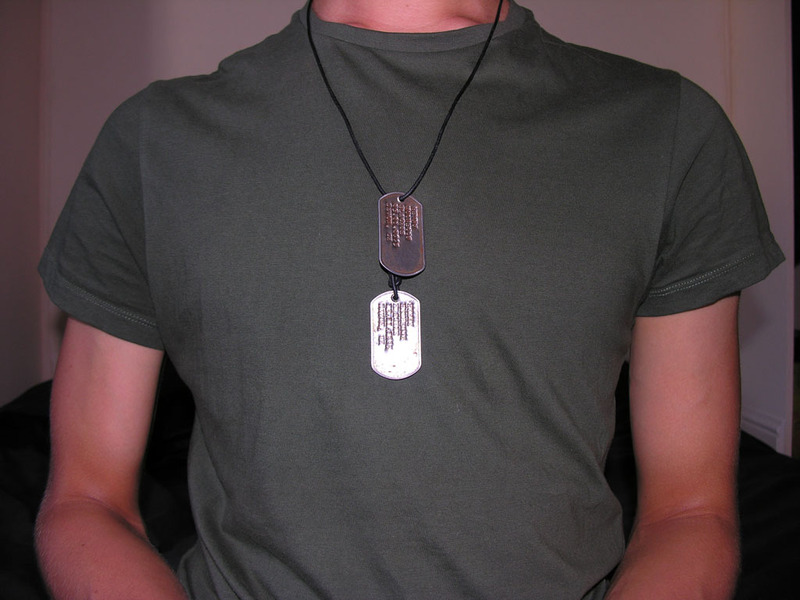 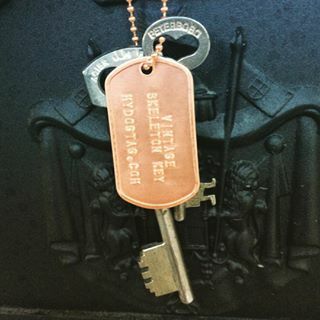 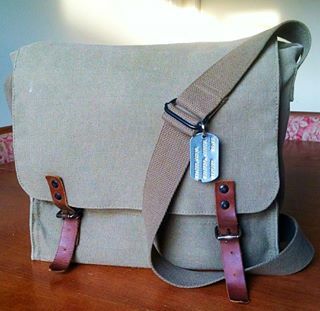 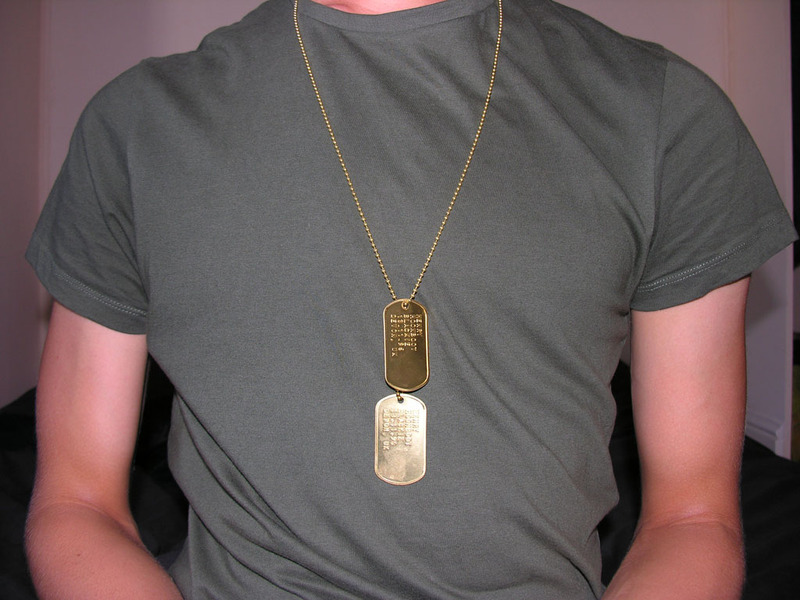 Design & order your own custom British Military Identity Disc Dogtag! 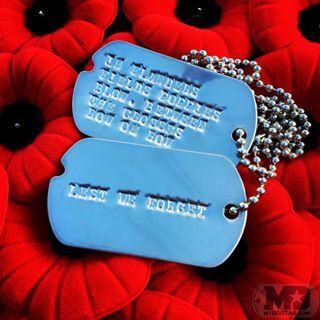 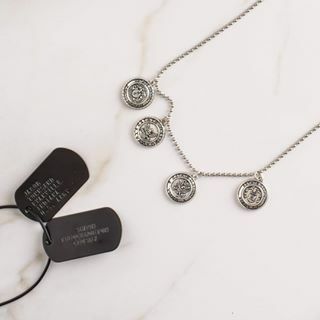 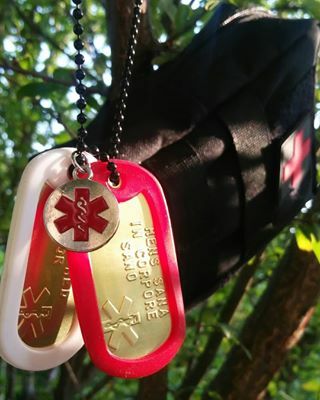 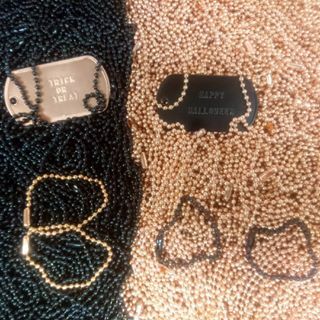 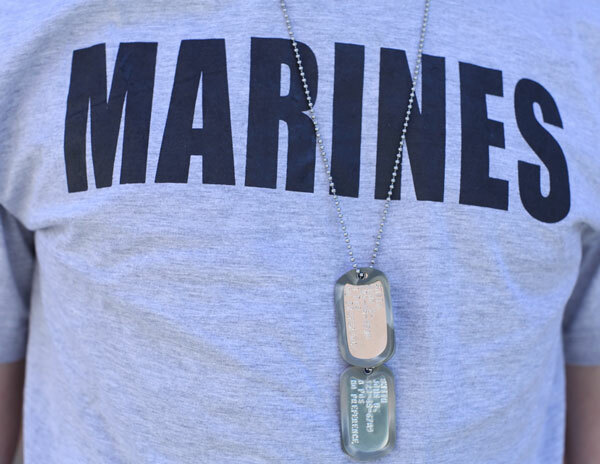 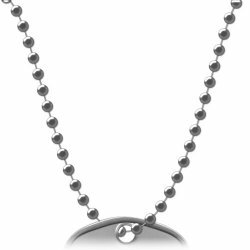 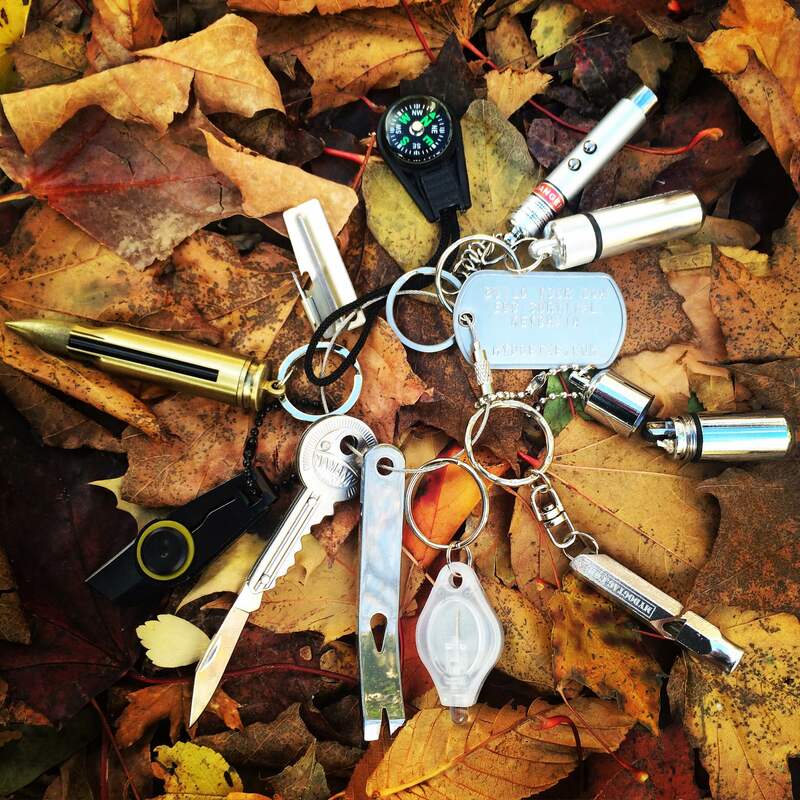 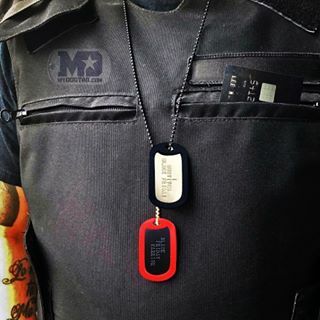 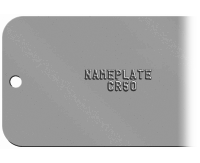 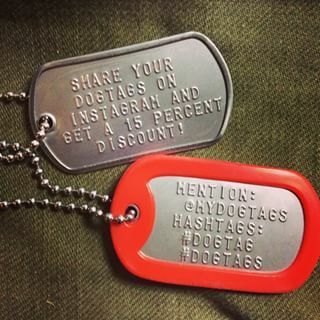 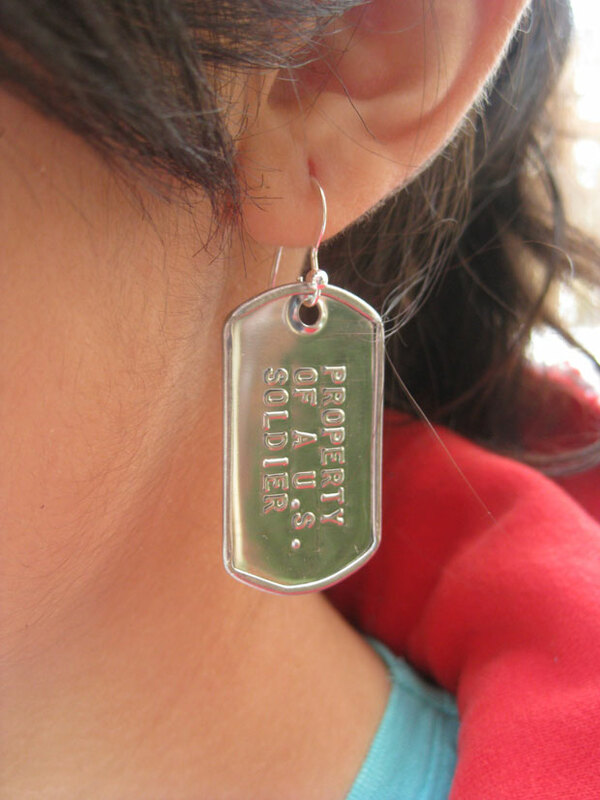 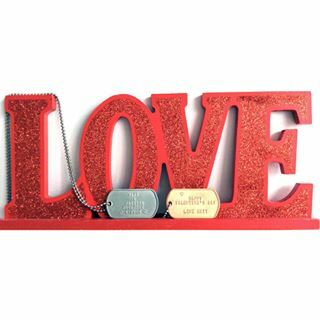 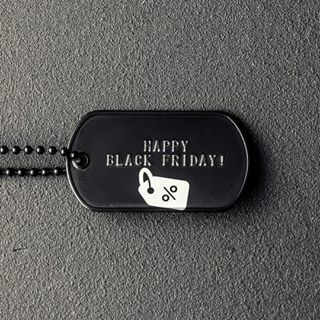 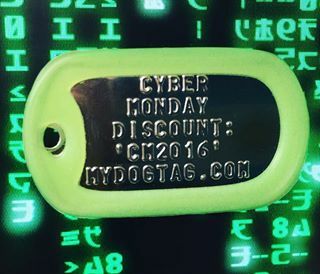 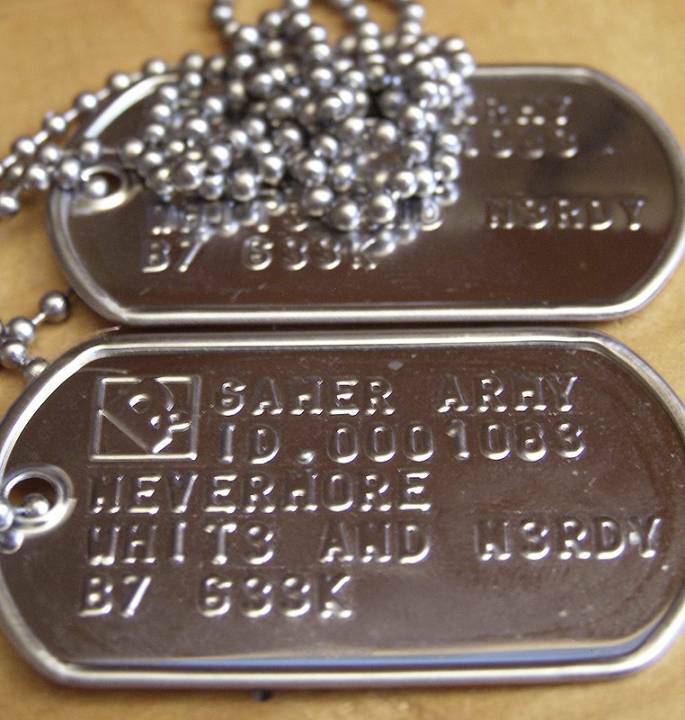 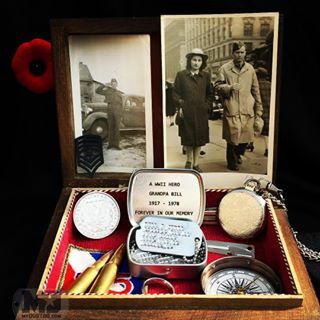 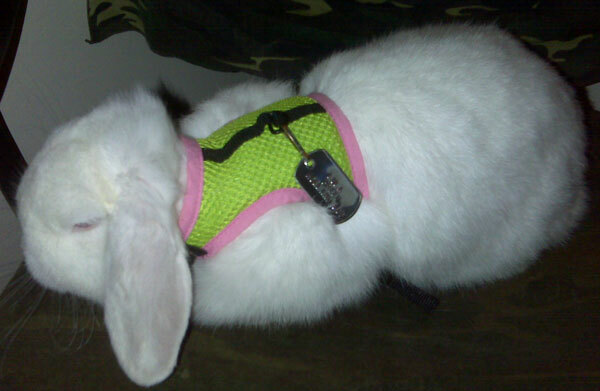 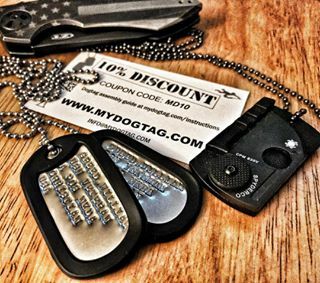 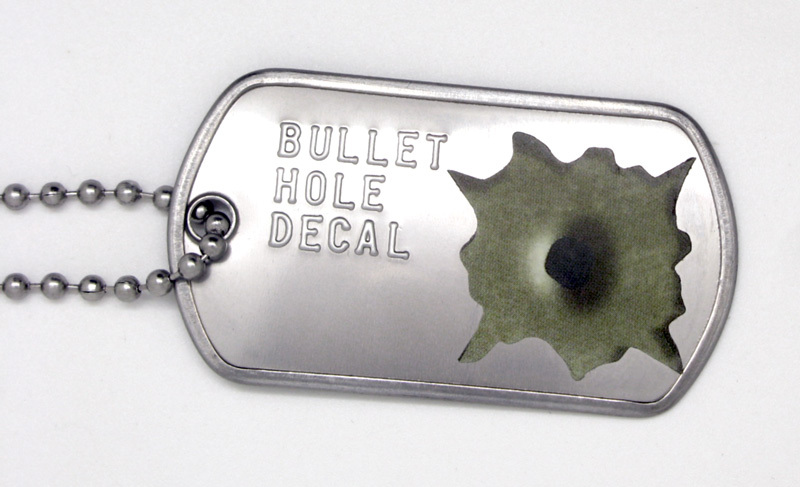 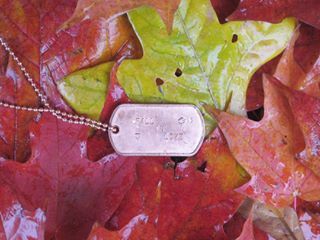 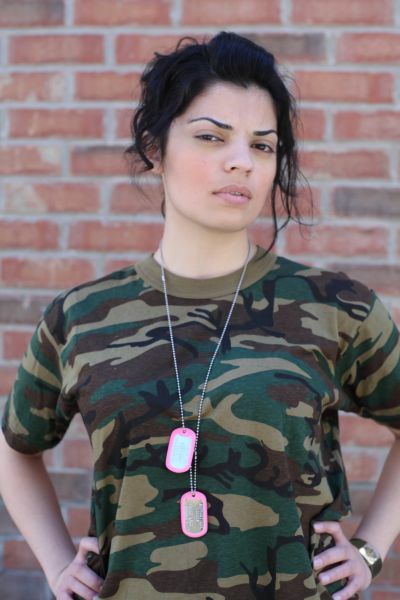 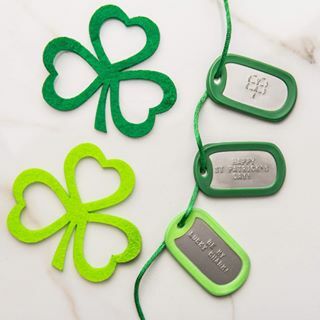 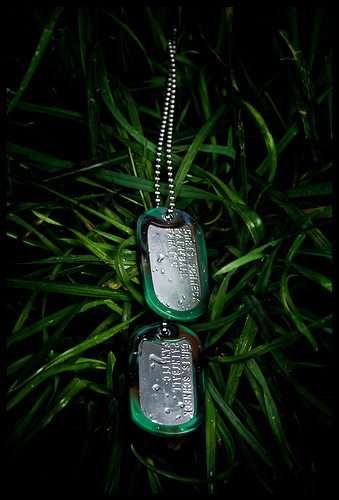 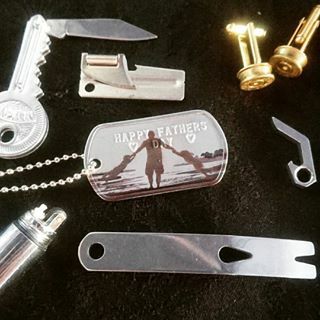 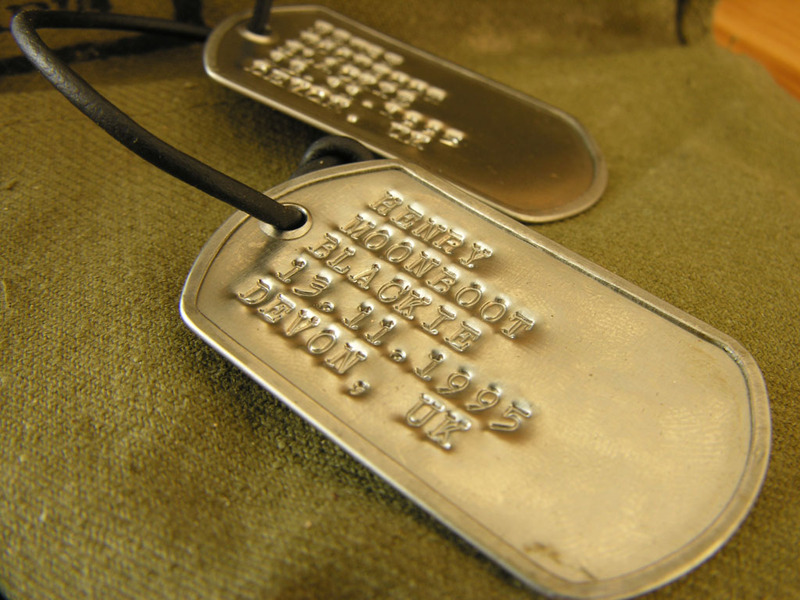 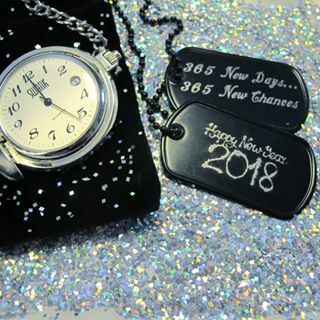 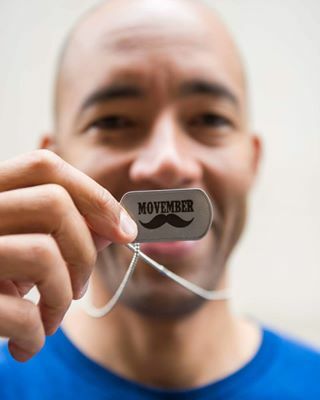 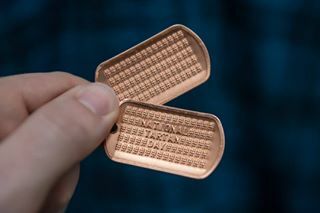 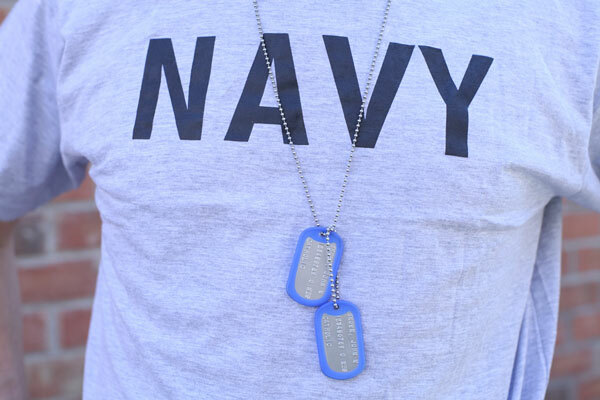 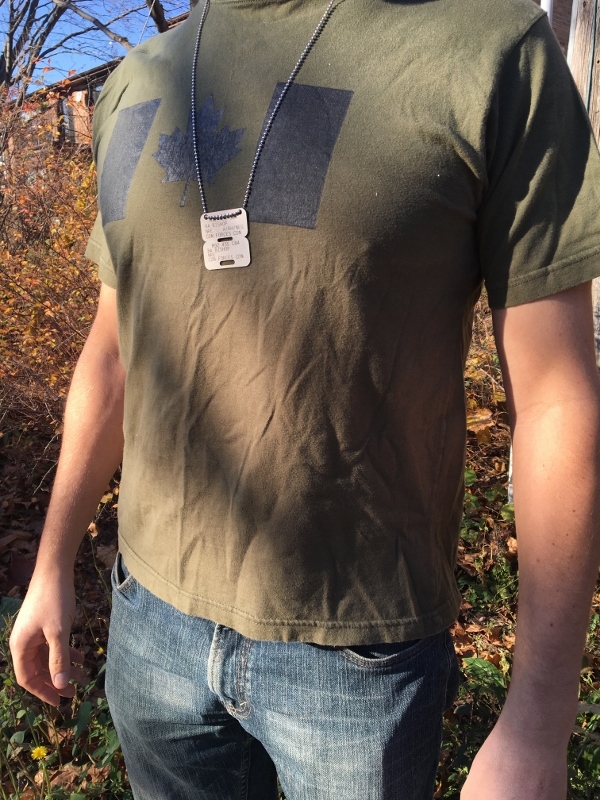 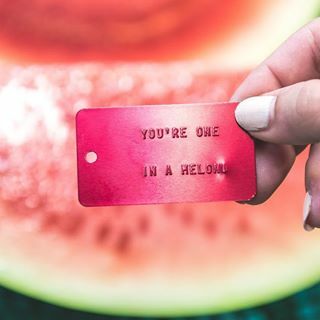 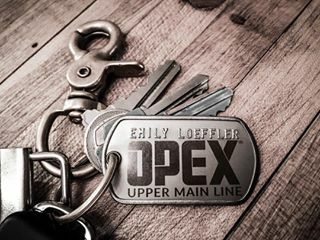 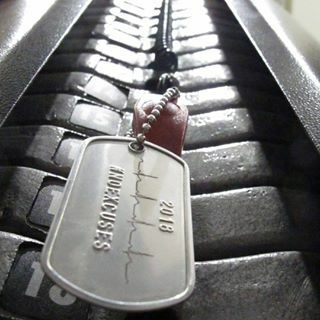 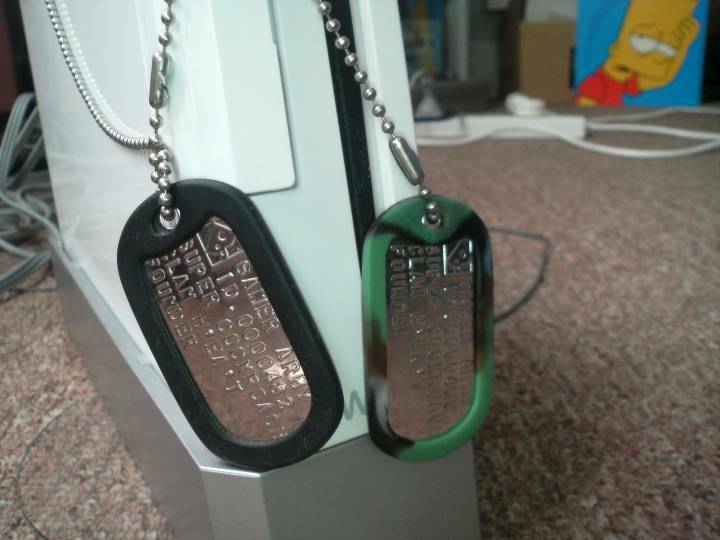 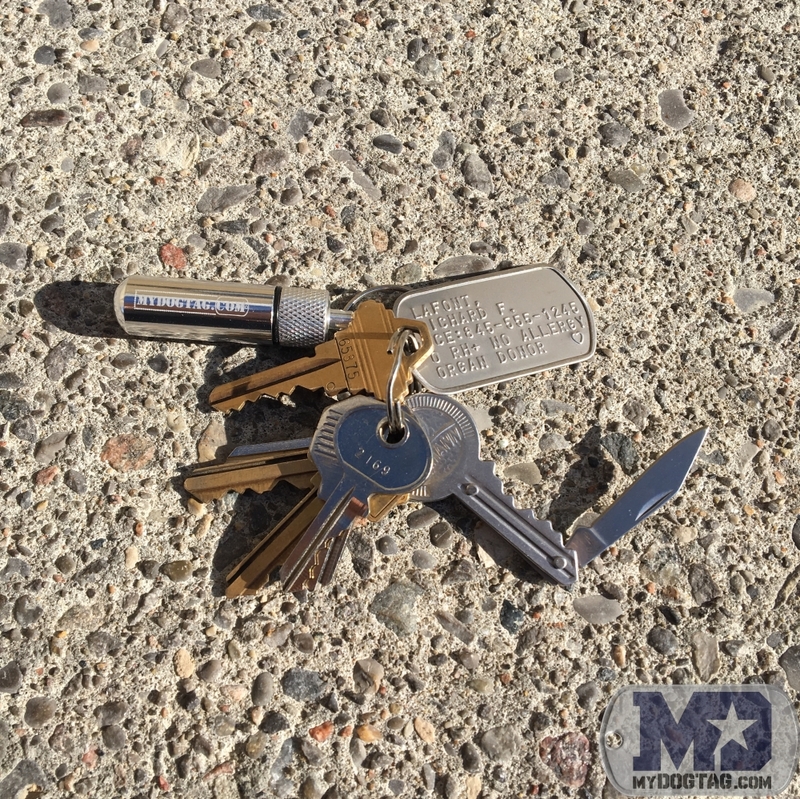 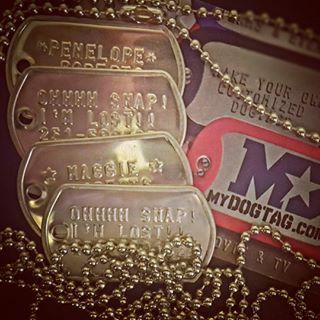 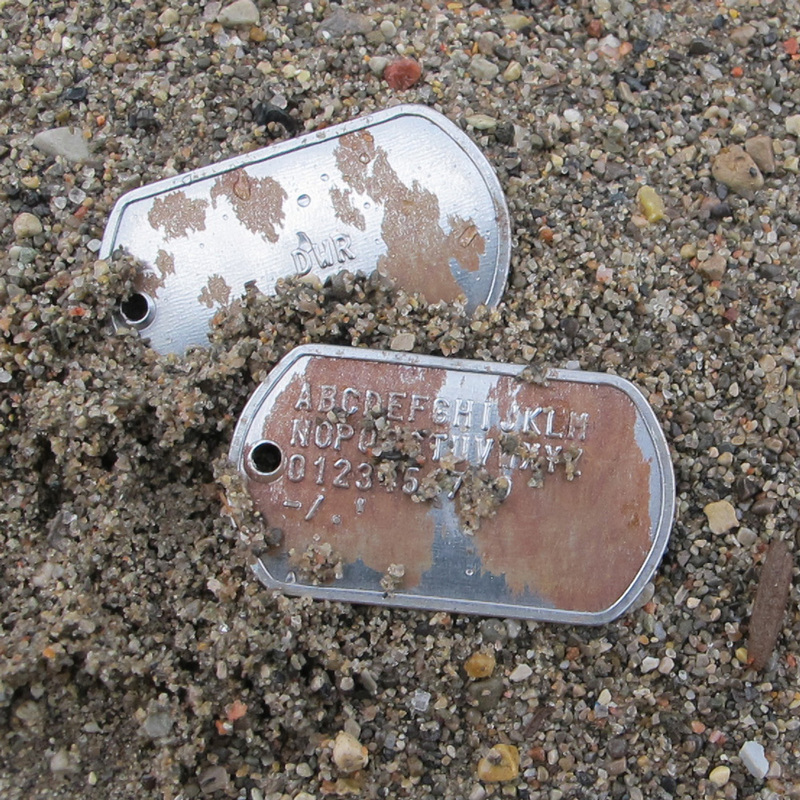 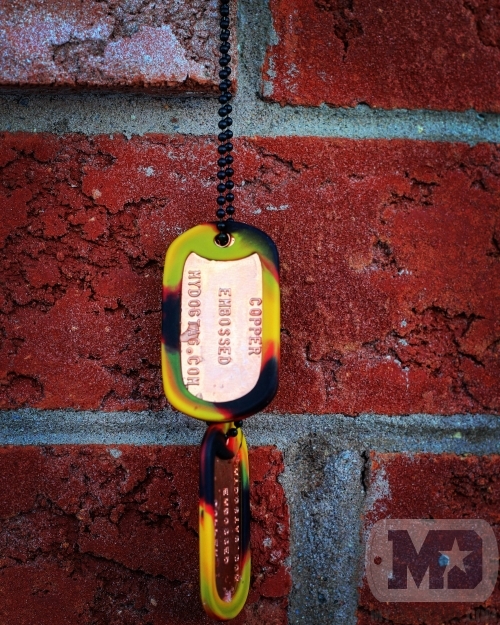 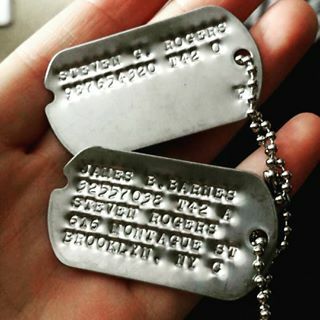 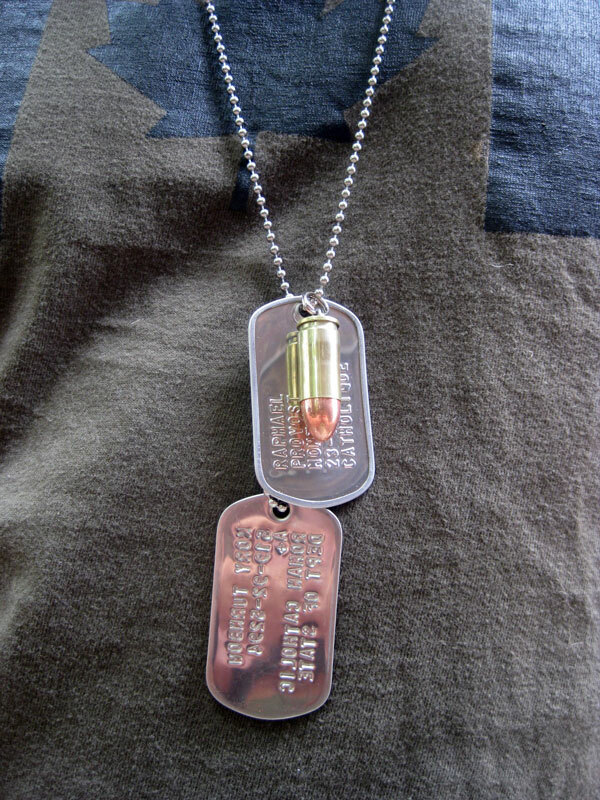 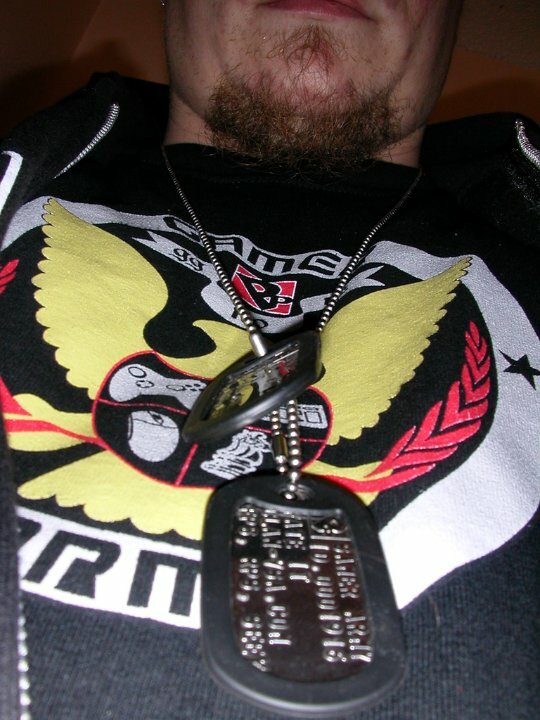 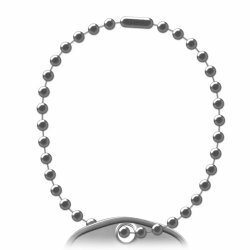 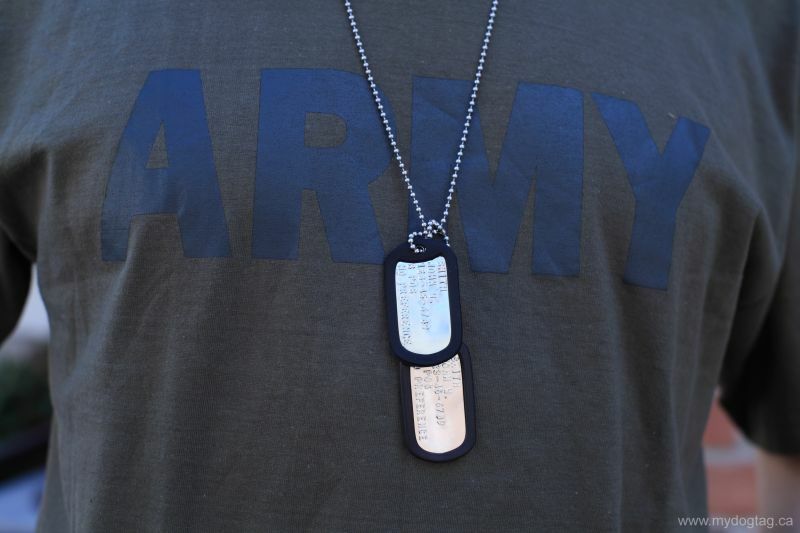 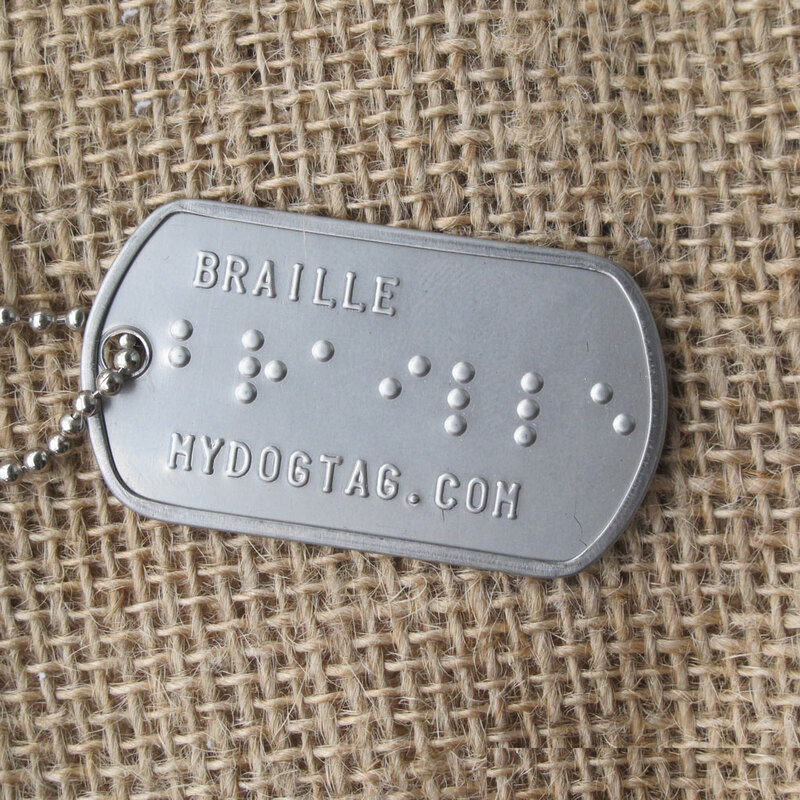 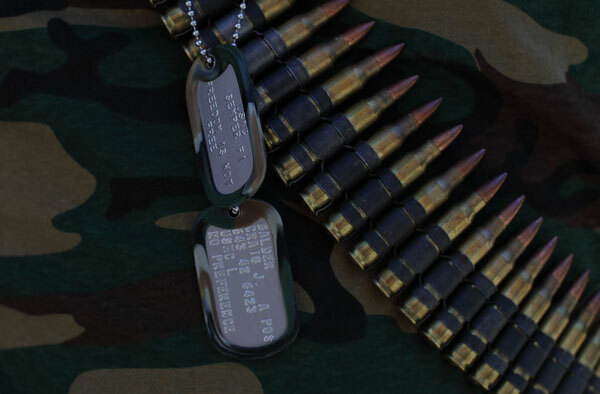 Only $12.99, or choose from a wide selection of other Dogtag styles, fonts, silencers, and chains from $7.99. 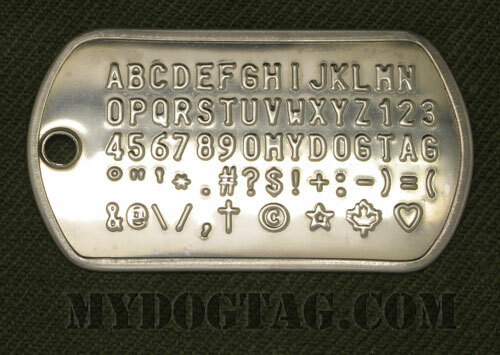 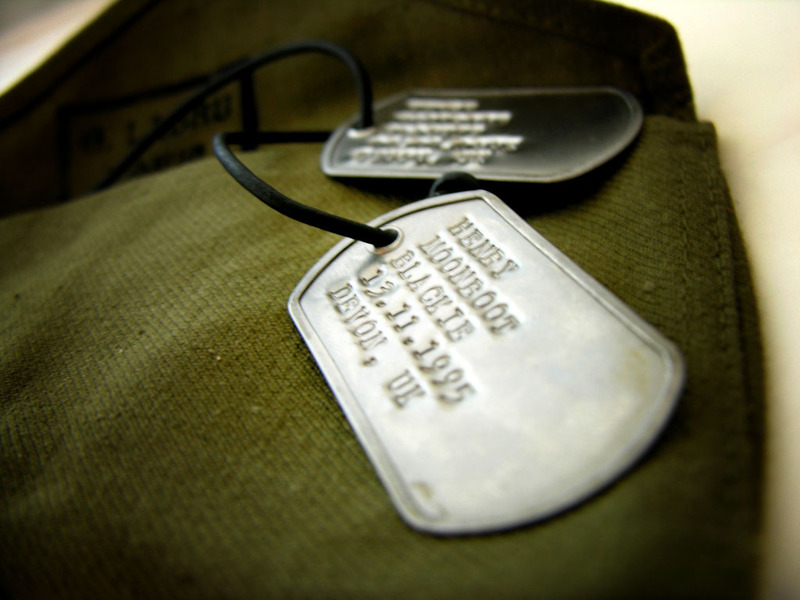 See an example of the British Military Identity Disc Dogtag format. 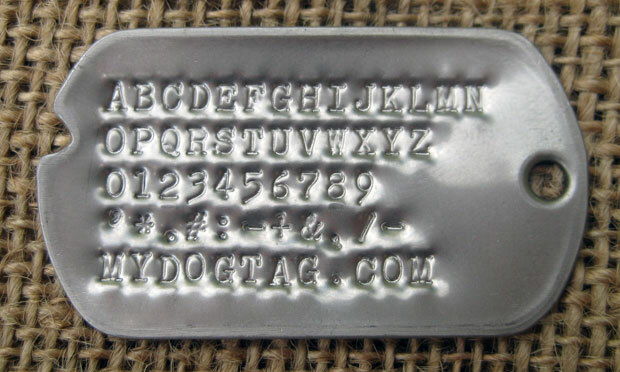 Line 4: Shortened to 11 chars. 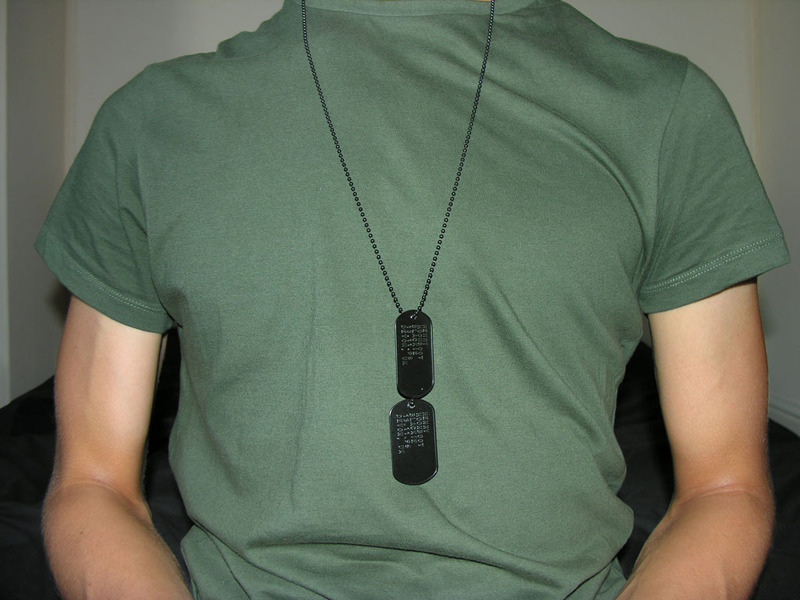 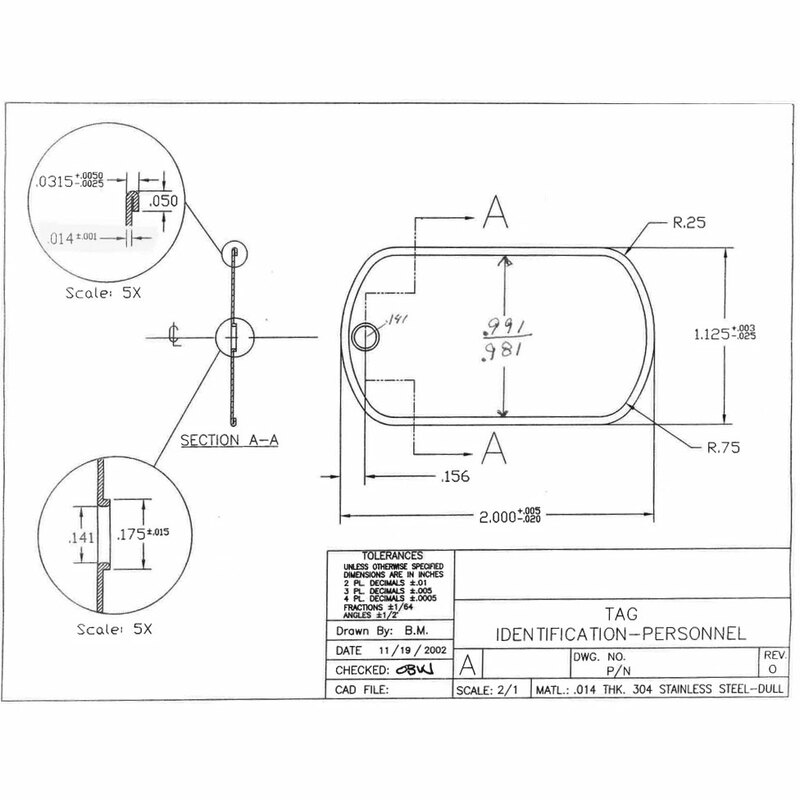 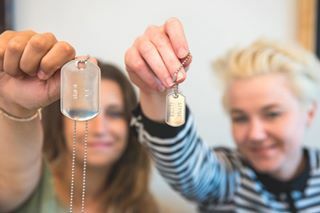 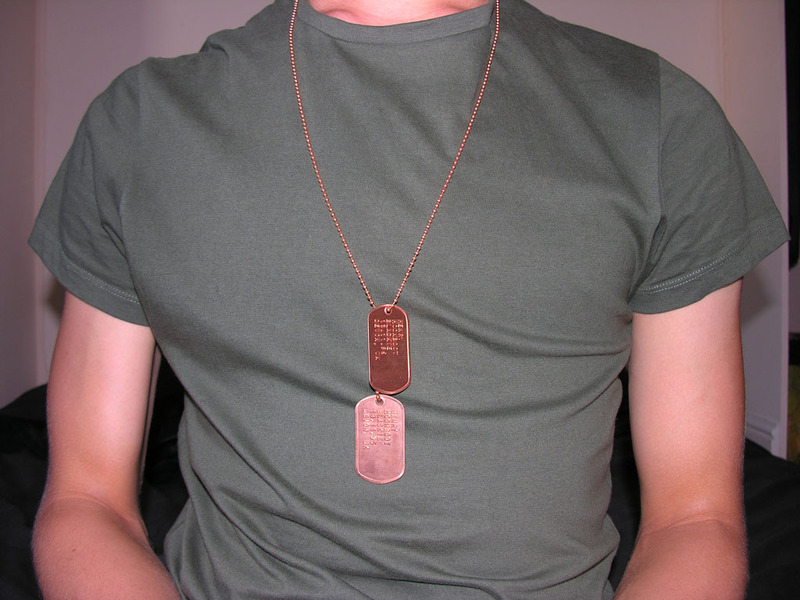 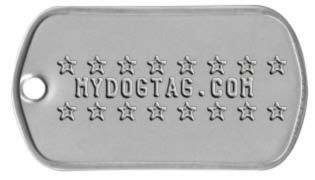 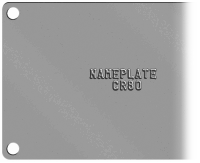 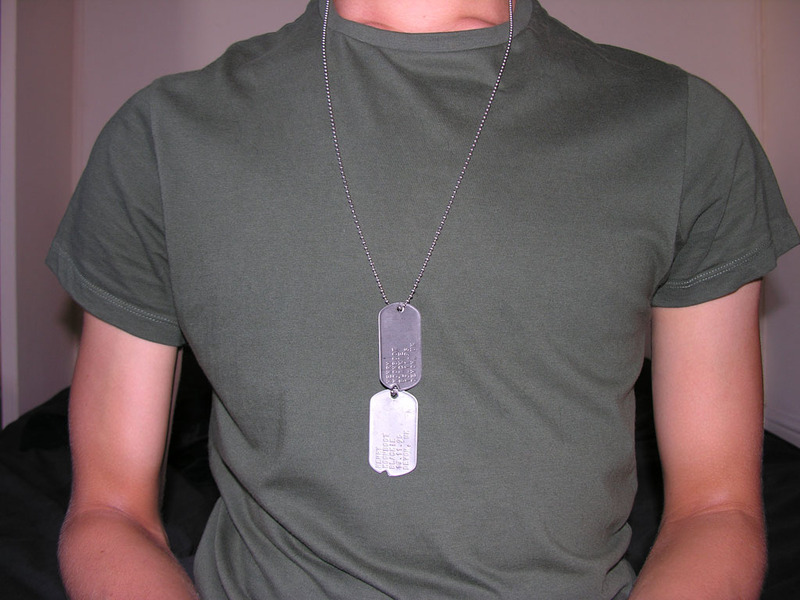 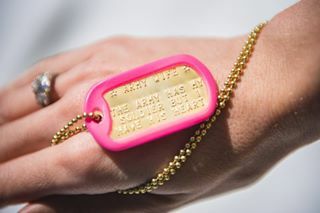 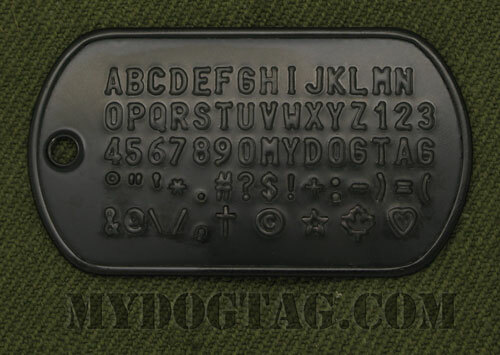 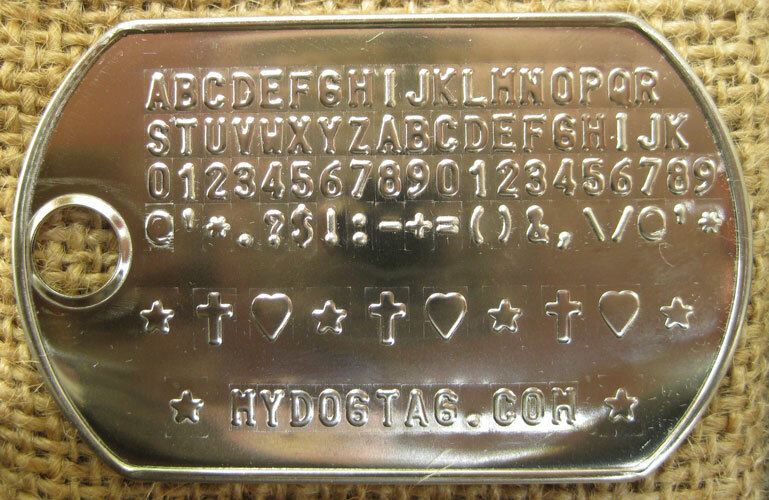 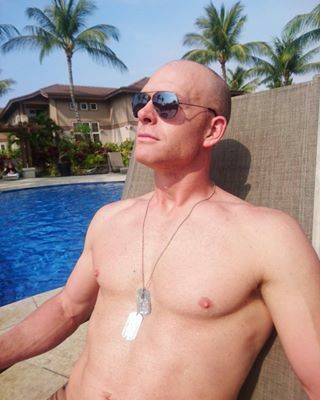 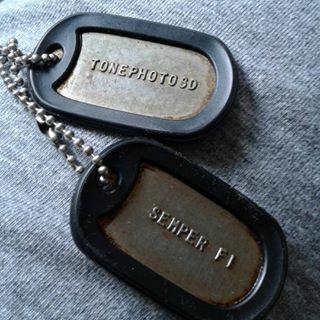 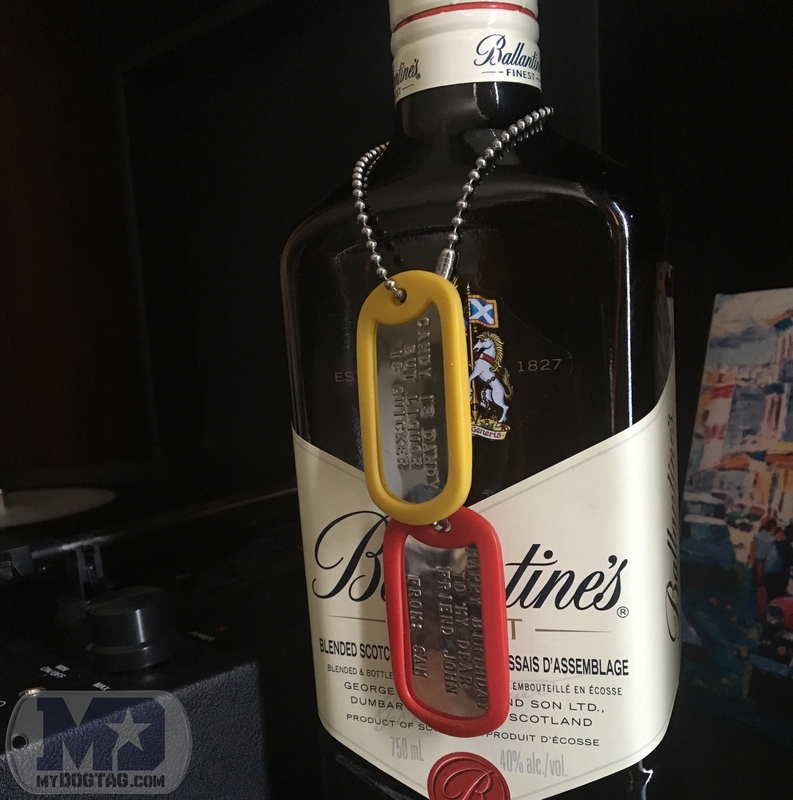 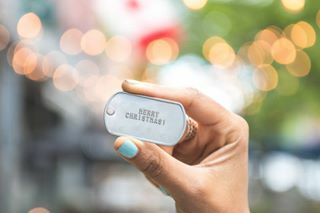 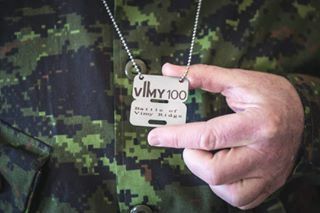 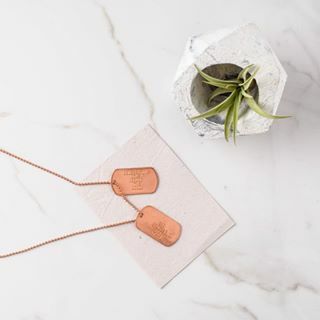 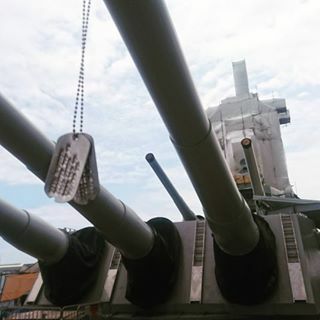 The British Forces Style ID Tag can be customized with just this one font: If you prefer a dogtag set that can be embossed or debossed please select a standard dogtag style. 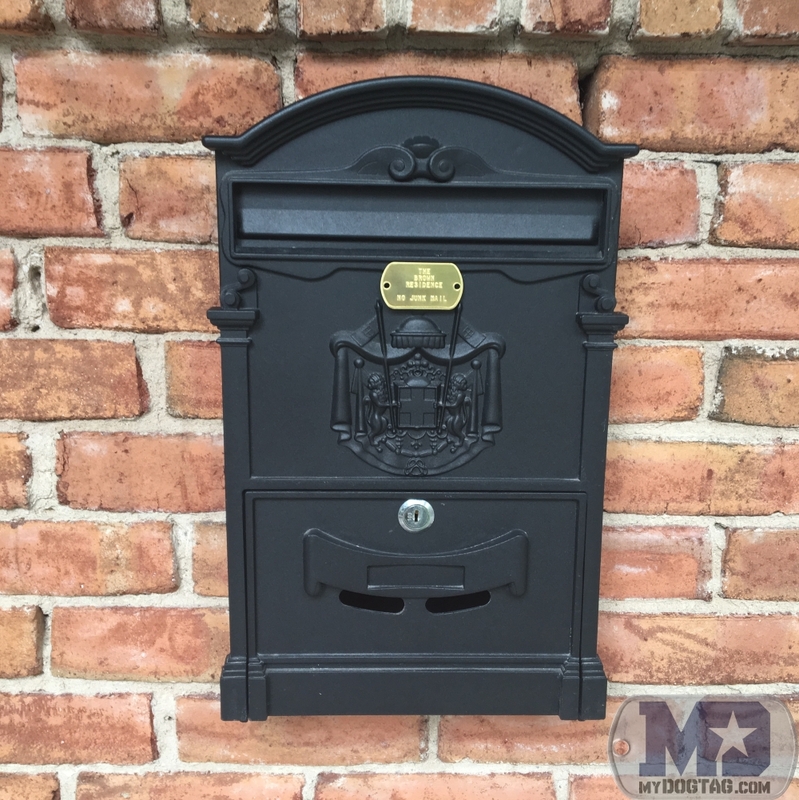 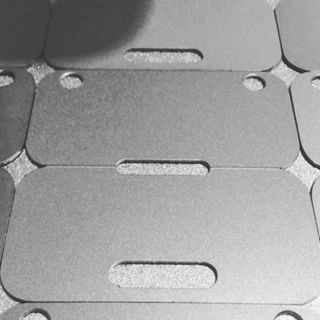 Letters are Laser Engraved in black flush with surface. 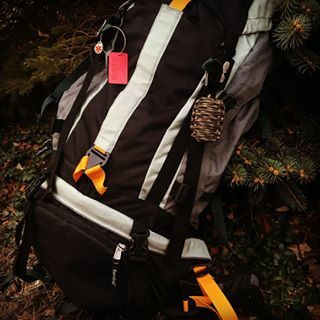 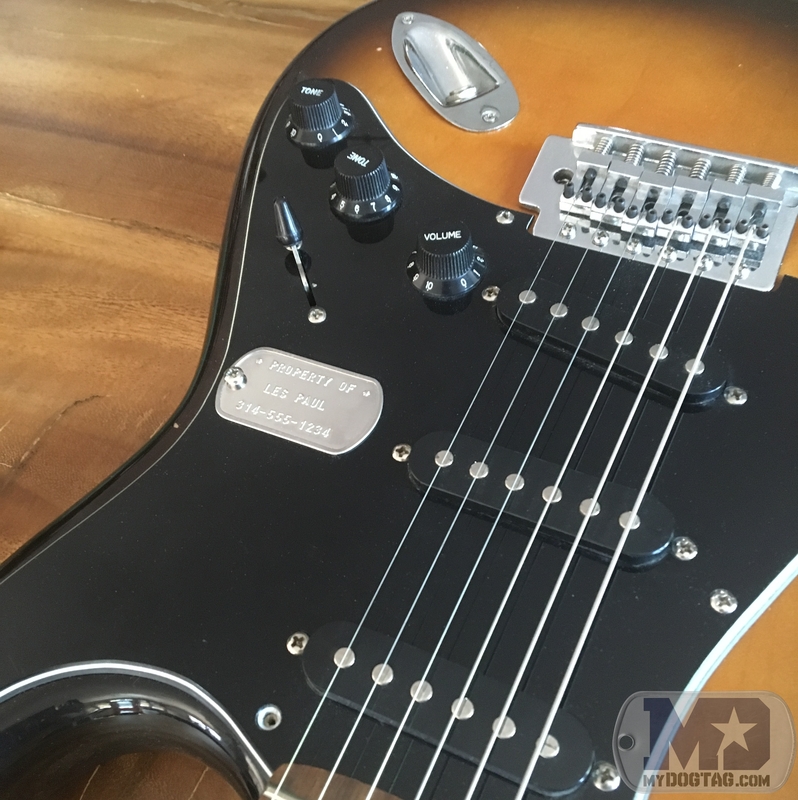 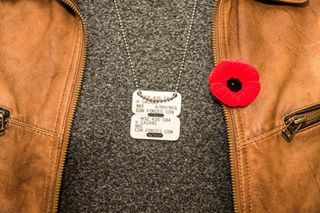 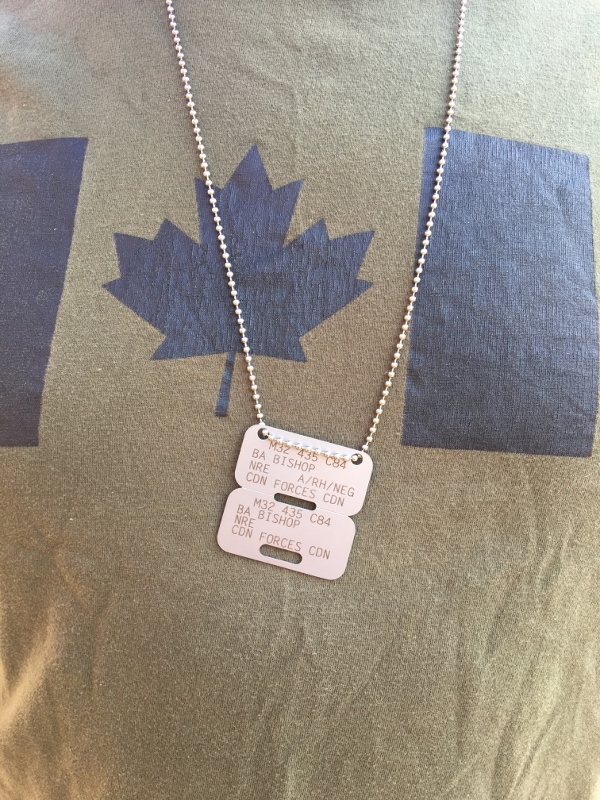 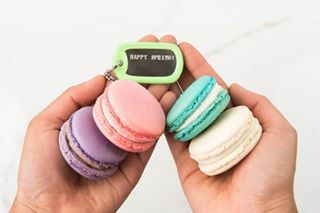 Used only for Canadian, British, and Bone Shaped Tags. 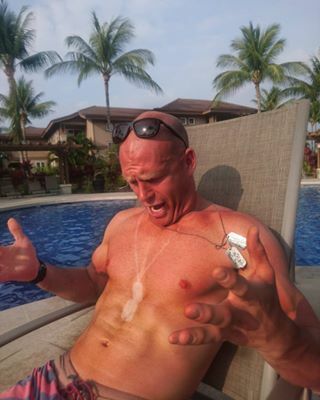 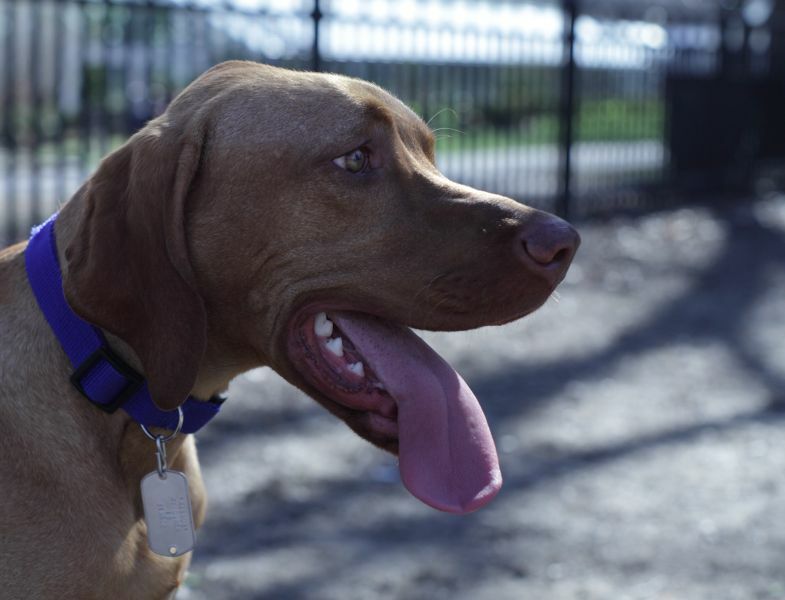 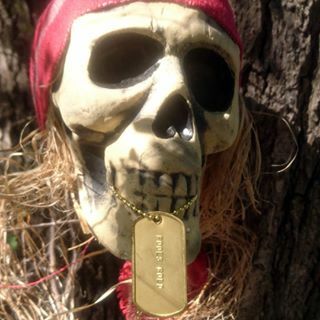 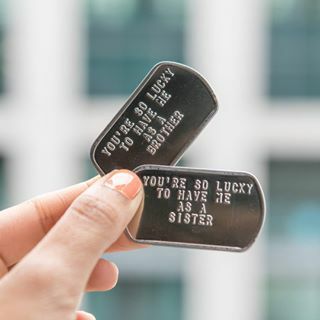 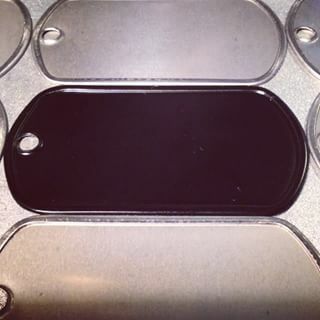 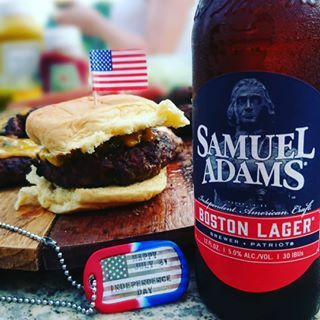 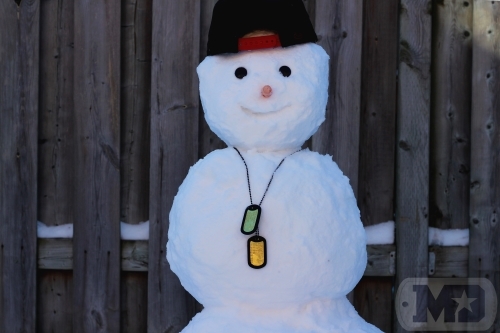 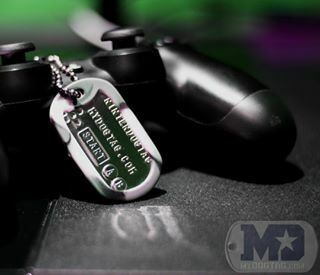 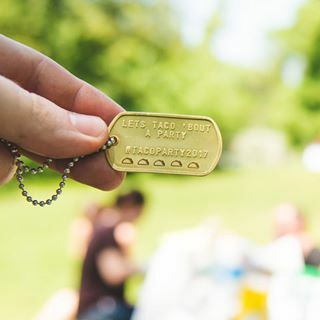 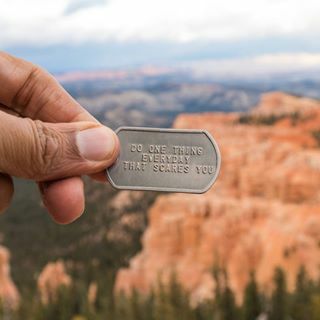 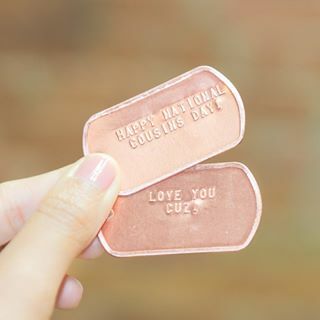 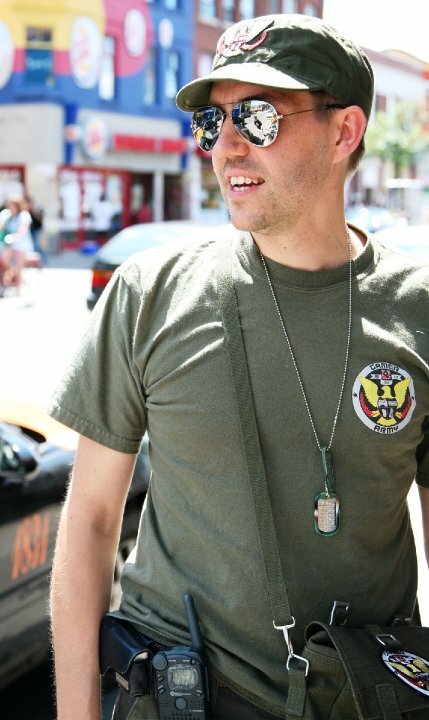 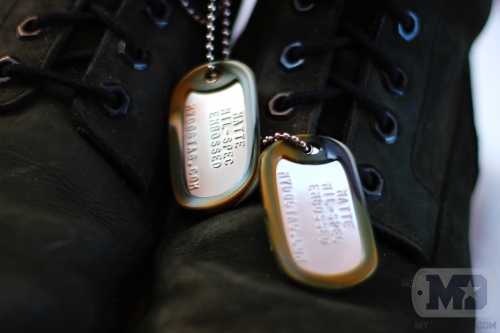 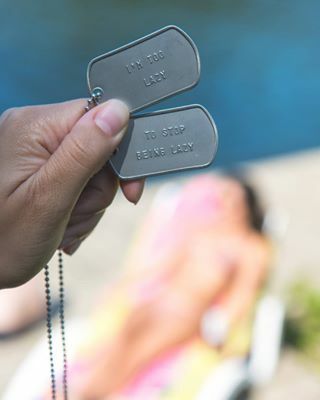 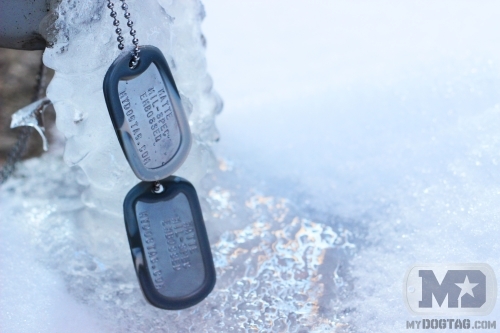 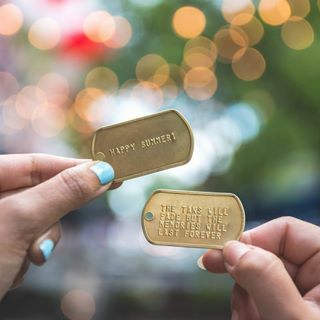 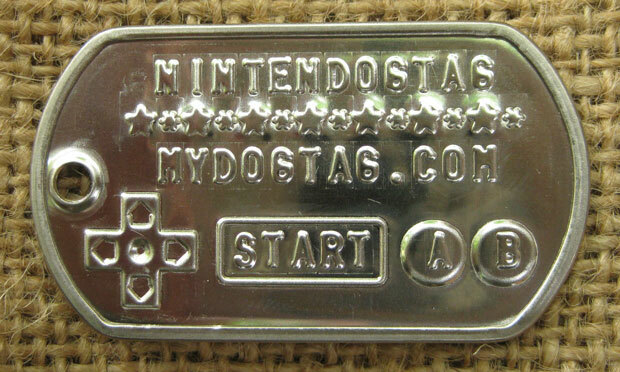 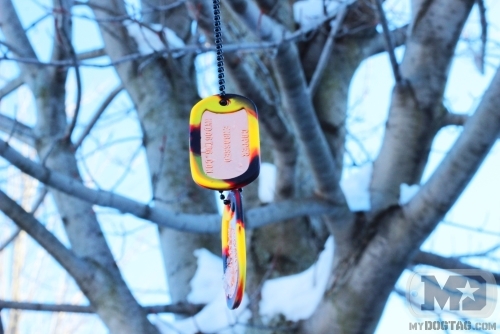 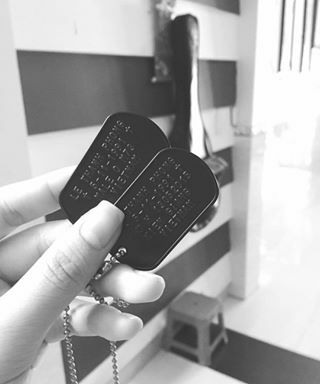 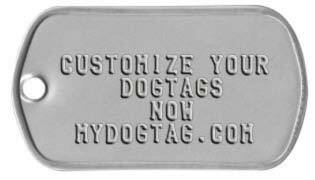 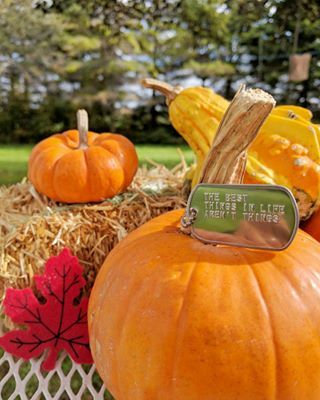 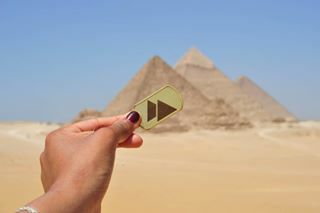 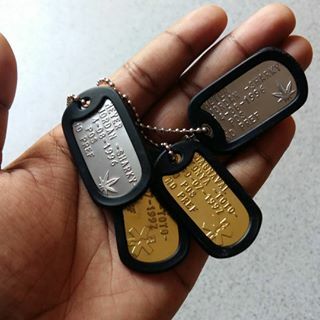 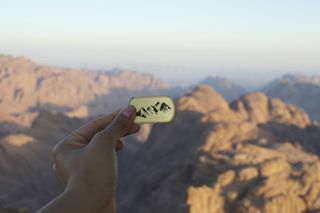 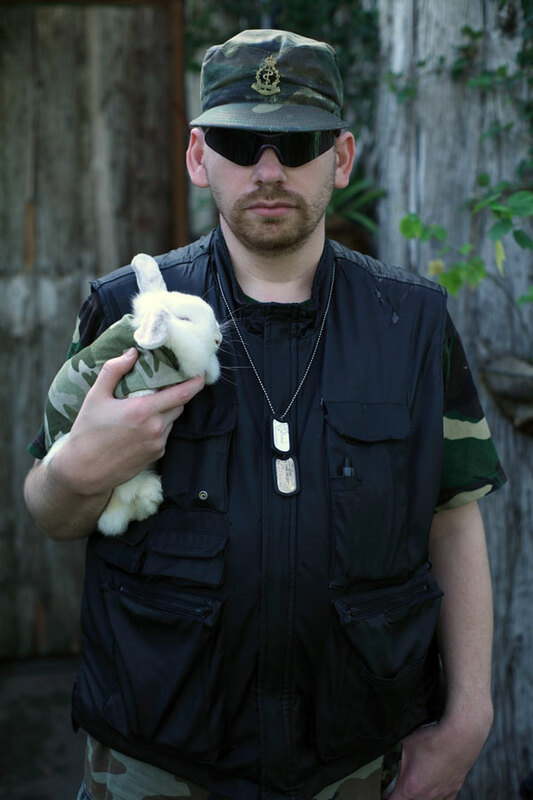 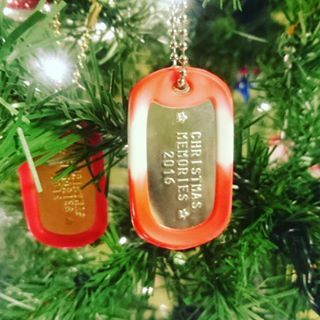 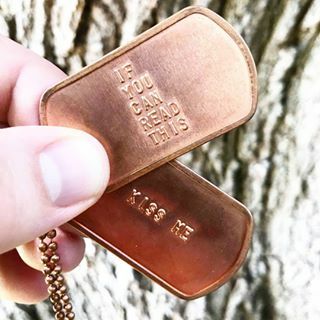 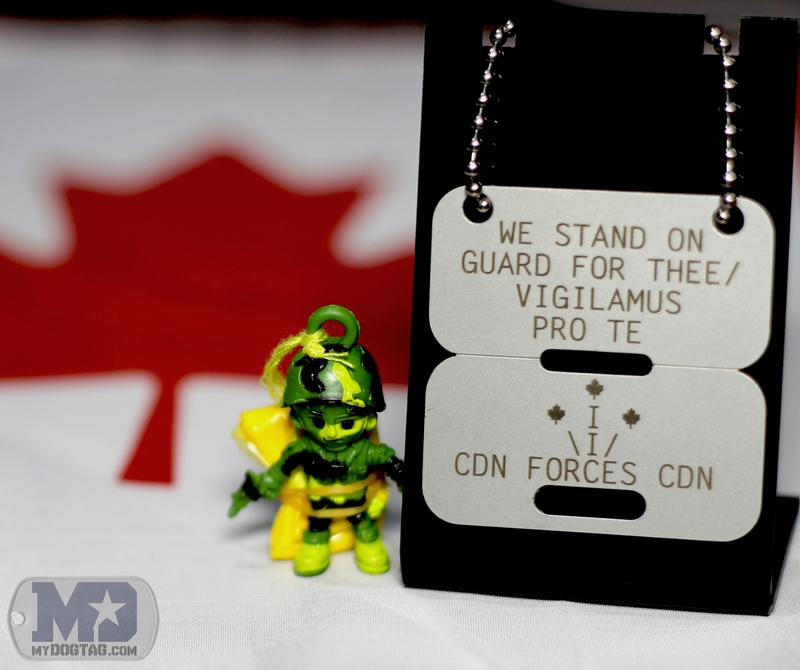 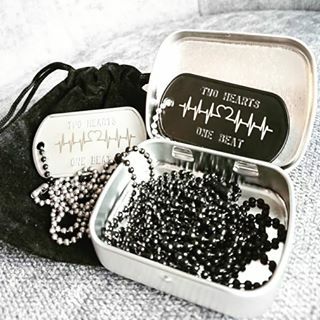 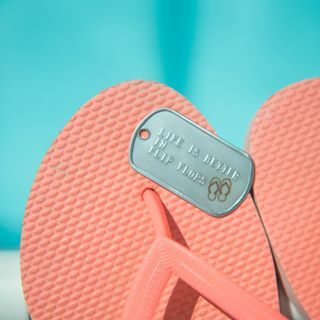 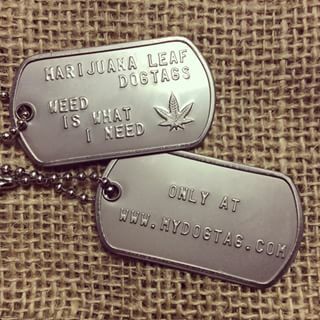 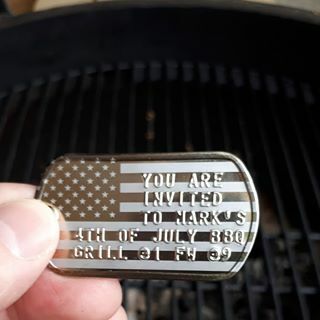 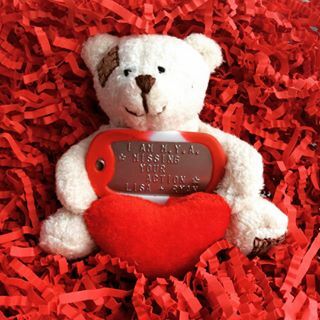 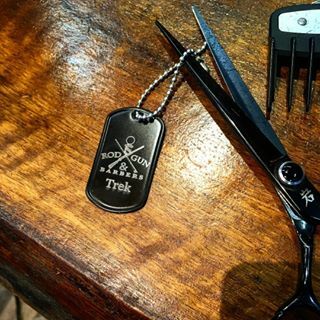 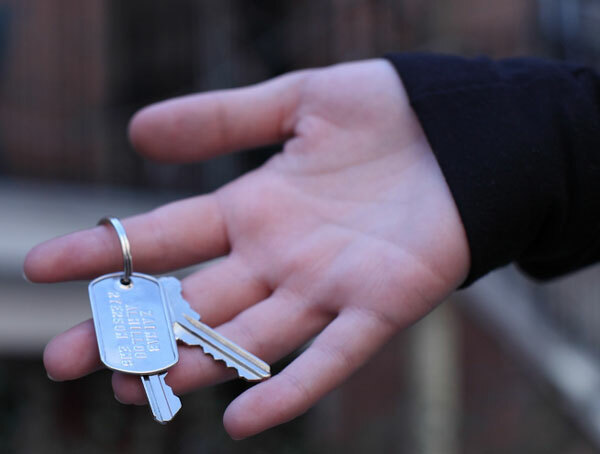 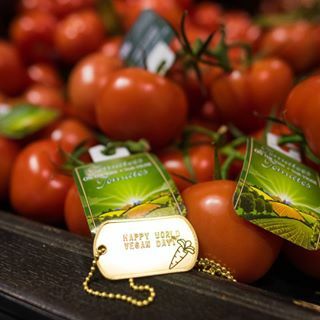 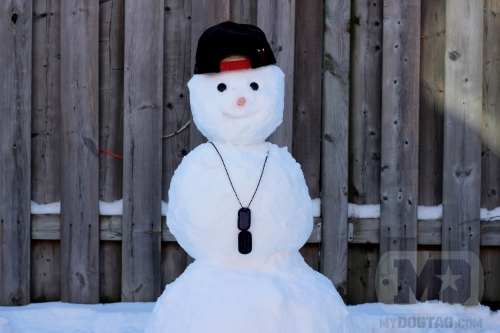 We Guarantee you will love your custom Dogtag!